Home AJWS Blog Thanksgiving: It's Not Just About Food. It's About Thankfulness. In modern-day America, Thanksgiving is not usually about thanks. It is about food. Families come for the turkey, the pumpkin pie, the cranberry sauce and the company. If there is a time for reflection, it takes second billing to football, chatting and dessert. Not that there’s anything wrong with that. But what if we made our Thanksgiving meal an opportunity to give real thanks – or, even better, to give back? What if, in addition to enjoying full plates of food, we placed a single empty plate on our table to remind ourselves of the millions of people who cannot feast like us? What if, in addition to swapping family stories and jokes, we took a moment to remember stories like that of Jonas Deronzil, a Haitian farmer who struggled to feed his family after cheap rice imported from America with the best of intentions undercut his profits and put his livelihood at risk? And what if, as we think about thanks, we also consider how we can spread thanks beyond ourselves? Thanking is not just about acknowledging what was and is; it is about understanding what can be as a result of our privilege and abundance. It is about recognizing that our gratitude affects our attitude. What a gift to be able to eat. But what a wasted gift if we don’t recognize the structures that allow us to eat and empower us to support others building those structures for themselves. And what a cruel gift, if through our bounty, we lapse into indifference or even cause unintended harm. Jonas’s story is one example of such harm. This month, through Global Hunger Shabbat and 18 Days of Action — two rallying pieces of AJWS’s campaign Reverse Hunger: Ending the Global Food Crisis — we learned about how our government’s policies, such as international food aid, must do better to alleviate global hunger. We also took action to mobilize our communities to raise awareness about this important issue and call upon the U.S. government to be our partner in reversing hunger. But the work has only just begun. True gratitude is thanks that leads to action. This Thanksgiving, let’s fulfill the Jewish value of hakarat hatov — thankfulness, literally “recognition of the good” — by recognizing not only what is good, but how far we have to go to perpetuate that good, bringing thankfulness to the whole world. 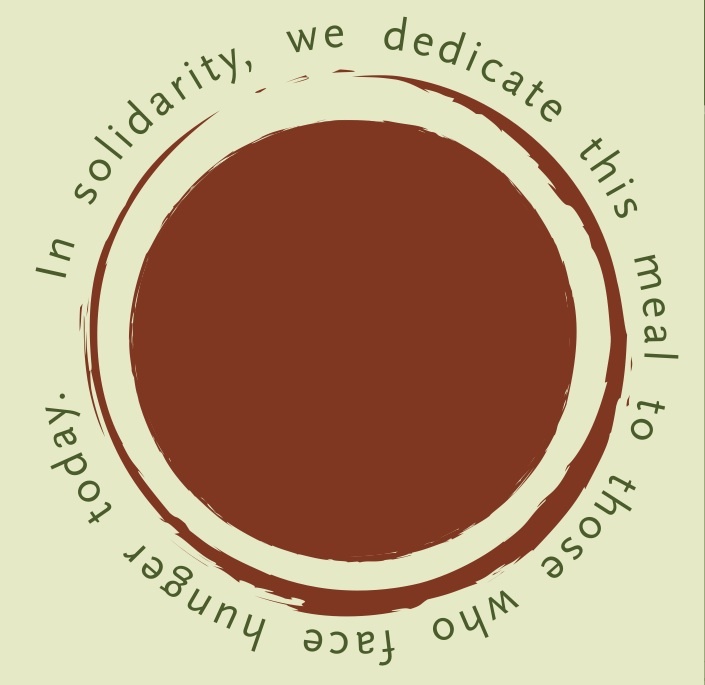 What are your ideas for a Thanksgiving ritual to remember those without food worldwide? Please share your ideas in the comment section below! For more materials on the intersection between Jewish values and food justice and ways to take action through Global Hunger Shabbat, the 18 Days of Action and AJWS’s Reverse Hunger Campaign, check out www.ajws.org/reversehunger.